Frans J. Afman, Dino de Laurentiis, Martha de Laurentiis et al. Frans Afman revolutionized independent film-making after developing a new system for film financing and in the 1980s he was one of the most powerful men in the business. He was instrumental in the making of films such as "Platoon", "Superman", "Total Recall", "Basic Instinct", "When Harry Met Sally", "Driving Miss Daisy" and many more - and aiding the rise of the leading independent production companies such as "Cannon", "Hemdale" and "Carolco". 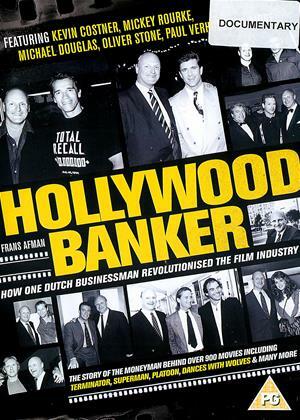 Featuring a host of contributors including Kevin Costner, Paul Verhoeven, Oliver Stone and Mickey Rourke, "Hollywood Banker" tells the story of Frans Afman's rise to the top, as well as how people's ambition turned into greed and the system eventually came crashing down around them.